Your Wooden Windows: Replace or Repair? Those old wooden windows of yours are one of the most valuable, yet underrated elements of your house. If you are facing window problems, consider the following tips for help in deciding whether you should repair or replace them. Are your windows timeworn, cranky or drafty? Do they no longer go well with your home’s exterior because of other changes you’ve made to your home? Don’t serve your interior living space anymore in the ways you’d like them to? Or, do you get replacement reflex every time just start thinking about them? New windows are always a good thing, because they’re new, but that doesn’t resolve the cost issues involved. Replacing the windows in your house can run anywhere from $10,000 upwards of $30,000 or more, depending upon the type and number of windows involved. If you have a lot of windows in your house, and/or still can’t make up your mind, look for repair solutions first. 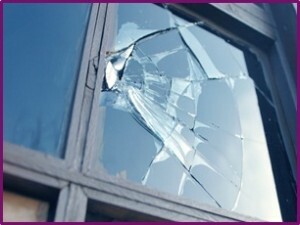 Broken window panes are undoubtedly, one of the most common problems – especially when cracks, scratches and chips lead to severe pane breakage. Anything from age, weather and even abrasive cleaners can cause glass to weaken. The good news is, glass repairs are easy and affordable to accomplish.If your frame is damaged, look for a professional with a reputation for vintage, multi-pane and/or aluminum-clad window experience. Harsh and extreme weather conditions can be your windows’ worst enemy. Contractions and expansions due to extensive heat, is a major reason why seals weaken and break. When the seal on your window is broken, it affects the pane too! Complete pane replacement may be needed in these cases. With the passage of time, dirt and grit start accumulating in window tracks, which can lead to hardware breakage and trouble with functionality. If your windows are not working smoothly, or not opening, they’re ‘cranky’. In these cases, it’s important to try to repair them before the damage gets worse. Use a putty knife to scrape down the old putty and oil paints. 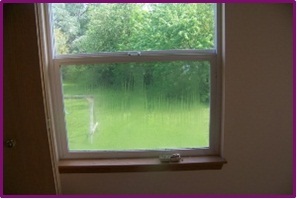 In many cases you may be able to clean the window tracks and/or replace the hardware for a quick and cost effective DIY fix. 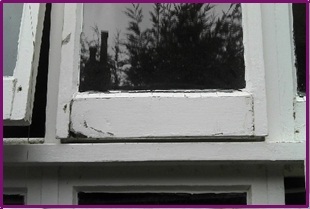 Improper care and bad weather conditions cause wooden windows to deteriorate. Rotten frames and sashes make way for water and air leaks.The amount of rot will determine who and how your window should be repaired. DIY small patches yourself with epoxy, but have your local handyman tackle larger areas. If the window is rotten all over, replacement may be the best way to go. Get a professional review. According to Houselogic.com, homeowners can expect to reap an average of 7-15% in savings if they install energy efficient windows. 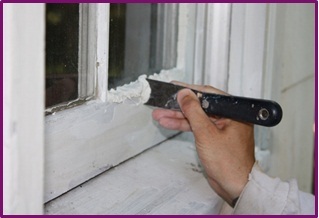 However, if you seal existing window and other leaks in your home, 10-20% can be saved on energy bills. Homeowners often think the only resolution to wooden windows in need of care is replacing them. Depending on your situation, just the opposite may be true. This entry was posted in Blog and tagged brick repair hinsdale, brick repair oak park, brick repair park ridge, masonry contractors lakeview, tuckpointing contractors evanston masonry contractors old town, tuckpointing contractors hinsdale, tuckpointing contractors oak park on April 16, 2015 by admin. Spring has officially sprung in Chicago! Now is the time to start thinking about when and how you want to repaint your home, garage and back yard structures. When it comes to painting exterior buildings, the quality of your paint is absolutely crucial to your success. One of the biggest mistakes many homeowners make is skimping on paint costs –don’t do it! Exterior success depends upon paint quality to stand up to exposure and time.Quality, durability, and color should be your top priorities. Select quality paint, to weather all that Mother Nature has in store for years to come, and the right color, to match your personal style. According to Benjamin Moore, recent breakthroughs in paint technology now provide a wealth of new exterior paints and stains that are eco-friendly, low-VOC (Volatile Organic Compounds) and withstand the tests of time. A “new coat of paint” can be absolutely transforming! That’s exactly why choosing the right color can be so tough. Consider first, what colors please you the most? Of those, which would work best in an exterior environment? What color would you like to come home to every day? What goes well with the fixed elements on and around your home? Think about the things at your house that won’t be painted, like your chimney, roof, facade, steps, driveway and sidewalks. Choosing a similar color that compliments existing stone work will promote visual continuity. Alternatively, if one of your fixed elements is strong in color, a neutral shade of paint may be the best option. What type of landscaping do you have? Consider choosing an exterior color that goes well with the trees, shrubbery and flowers surrounding your house. Look for house colors that what would compliment them the most. Does your neighborhood have a color scheme? The last thing you want to be is monochromatic to every house on the block or, stick out like a sore thumb. Shoot for creating an individual touch that fits well within your neighborhood’s scheme. 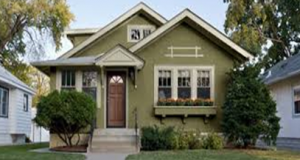 Choose exterior paint based on the quality, not price. Look for paints that can withstand a host of weather and other exterior elements. Choose your colors based on personal preference, fixed elements of your home, landscaping and surrounding environment. If you choose to work with a professional painter (highly recommended for exterior projects), examine their service records and review prior project samples before getting estimates. This entry was posted in Blog and tagged home restoration services, painters chicago, painting contractors old town, painting restoration on March 26, 2015 by admin. Whenever it comes to discussing about any budget, it feels awkward and uncomfortable for people. Home remodeling is obviously not an easy task, both in terms of labor and money. It is because of the nature of construction that make these things costly. Therefore, it becomes important to think and plan your budget before renovating your house. Know your requirement well: Whether you are moving to a new house or you are renovating the old one, it is important for you to analyze first, how you want to live in. It is not always necessary that you feel satisfied with all the facilities you get in and around your house. You might sometimes need more- a bigger kitchen, a shower instead of a bath, etc. Therefore, you should understand well your needs, with both the perspectives- today and tomorrow! Do a design brief: Give ample time to write your own design! Thoroughly measure each and every part of your house to list the things you want and design the layout of your home, accordingly. Get costs from the professionals: You should always consult a professional to get a more accurate picture of your costs while planning your home renovation. For this, you can have a discussion with a building inspector, architect, builder and engineer. These professionals can better guide you by performing a comprehensive inspection to tell whether any significant structural work is needed and the estimated cost that you will have to spend. Prioritize according to budget: Setting priority is always beneficial if you want to have a tight control on your budget. Spend good money to areas that really need it- the rooms that requires more renovation- and leave other rooms, until last. You can give them a new look just with a touch of new paint, instead of refurbishing them fully. Also, you can save a lot of your money by accomplishing few DIY tasks. This is so because materials are not that expensive, but labor is. If there is anything that you can do yourself, there are big savings you can easily make on things like tiling, decorating, painting, etc,. Look out for discounts: ‘Get best at the minimum’ should be in your mind! You can save your money easily by shopping for the best-value furniture and fittings. For this, you can take help of the price comparison websites. Also, you can plan your renovation at the time of any special occasion or festival like Christmas or New Year, when the market is flooded with sales, discounts and other offers. This can help you save a lot! Follow these simple steps and just enjoy your home renovation!!!!!! This entry was posted in Blog and tagged affordable renovation, construction, home improvement, home renovation on March 4, 2015 by admin. 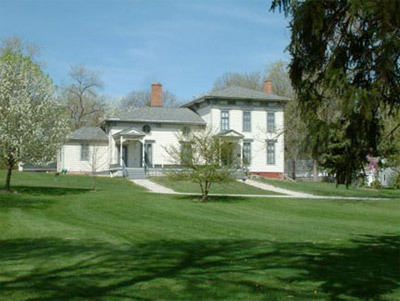 The area around Chicago, Illinois like Hindsdale, Oak Park, Lincoln Park, Evanston, and Old Town has proved to be a grooming ground for masonry professionals like it happens in any commercially relevant hub in an urban environment with a lot of historically relevant architectural heritage like the Victorian style building around Chicago. Chicago had lost a number of old, marvelous buildings in the Great Chicago Fire in 1871, but still many of them were restored and refreshed and the masonry contractors played a great role in that, and some of them, indeed very old, are still offering their services for every kind of buildings raging from commercial buildings like restaurants, residential complexes & apartments, historically relevant, Painted Lady Houses, churches etc. Owing to the growing industry, it’s easy to find masonry contractors in Oak Park or a tuckpointing contractor in Evanston, but it’s a confusing task to pick the right contractor with qualifications for the job. Picking up the wrong guy will cost you both unjustified expenditure on poorly delivered services. So, we have some tips to find the right guy for your job along with some suggestion on how to negotiate with the masonry contractors. First step will be to mind the difference between an expert and an all-rounder type service provider. It’s better you know exactly what job your building need – either it can be over all renovation or restoration or careful brick-repair in the Hinsdale or the Oak Park. It’s better if you hire expertise if it’s singular in nature like just tuckpointing. Often contractors will try to scare you while pointing to some additional issues with rest of the building or they’ll make the choice of material or paint for you. Make sure, you stick to what you need. This suggestion hails from the realms of common sense like asking for the license or certifications. Also, if you got a high-budget job like a commercial restaurant, then it’s not a bad idea to check with the consumer records of contractors for previous complaint history. You need to screen the list of contractors in your area and then filter a few. It’ll help you clear a lot of concepts and receive suggestions on the same topic from different perspectives if you take time to interview some of the chosen contractors. The trouble with big names like the Home Depot is that will not negotiate as their brand name sells well. However, it’s a mistake to underestimate local professionals with their humble approach. High cost doesn’t always mean the best job. So, try to find a local contractor who will be more susceptible to your subtle negotiating messages. Find some time to collect rates and estimates from different contractors in the market. You’ll be at a better position technically. The one you negotiate with will know that you aren’t so dumb after all and have got many other options at disposal as well. The labor time is more negotiable than the material needed for the job, so fix the contract on per hour basis and then be present at the site during the work and try cutting unnecessary delays. Also, the labor rates vary in accordance with the locations. For example, painting contractors in Hinsdale might have lower rates than the one in the Chicago. Try to observe if something from bartering concept like giving some space to the contractor to advertise his name. Any professional in any industry will listen to it when you talk about their promotion. This entry was posted in Blog and tagged masonry contractors evanston, painting contractors lakeview, painting contractors oak park, painting contractors park ridge, tuckpointing contractors park ridge on February 17, 2015 by admin. There are most masonry projects you can do it yourself. Although, there are few projects which may require little assistance from professionals (projects like stucco repair). Things like tuckpointing and installing cement walkways, pavers and patios are some masonry projects a homeowner (with little masonry skills) can do himself, and save a lot of money. As a DIYer, you’ve surely heard it said a million times; having the correct tools and equipment makes any job easier. Before you get down to repairing the stucco, you need to be well informed of what it really is, how is it different, and why you may need professional assistance to repair it. 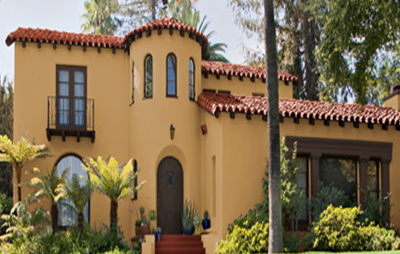 Masonry contractors Lakeview inform that Portland cement plaster, commonly known as Stucco, is one of the most popular finish used in most commercial and residential building structures. Stucco was originally made from a mix of lime, sand and water; the modern Stucco available is made of Portland cement, sand and water. With its general property of holding things together, stucco is finest binder used as alternative to mortar. Tuckpointing contractors Hinsdale and masonry contractors Old Town, have been playing with stucco for years. So, if you’re residing in Chicago, and are planning to repair the stucco, you can look up to brick repair Oak Park and brick repair Hinsdale experts for assistance. Stucco we’ve seen is one of the most important ingredient found in many structures. It is applied wet to exterior surfaces (typically in two or three layers), and hardens for a durable finish over time. Stucco can be applied to all kinds of building materials including brick, concrete, stone and wooden frame. Stucco is used primarily for exterior finish owing to its toughness and strength. Moreover, stucco is known to withstand most extreme weathers, which makes it even more beneficial for the exteriors. The material has high rust and fire resistance and it is highly economical. Interestingly, a variety of pigments can be added to stucco to help change its color, which means stucco texture can be made to match the looks of bricks, wood or stone. It may be easy to say that stucco is one of the toughest materials, but like most building materials, stucco can also get damages with effects of the elements. 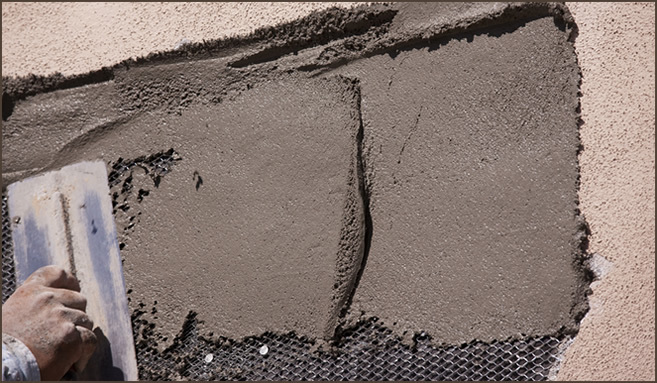 Stucco can begin to develop cracks ad holes, and chipping can begin to happen with time. This happens both due to the elements and the building settlement. Generally speaking, cracking stucco can be normal process due to building’s aging. But at times, depending on the severity, it can be a sign of more serious problem. When the hole and cracks seem to be more than normal, it is time that stucco needs to be repaired at the earliest. This is so because water can begin to enter the building structure through stucco walls from holes and cracks and lead to moisture in the building. Repairing stucco yourself can be somewhat difficult, particularly if you have to match the color and texture of the stucco with the building material. This is where professional contractors come in handy. A professional helps in waterproofing the stucco (in foundation) and repairing the damaged bit with utmost perfection and detail. Fortune Restoration is proud masonry service which has stucco repair and restoration work in most residential and commercial building structures including the oldest home in Chicago and the Chicago’s Oldest Italian Restaurant. If you have some stucco repair project and need professional assistance, you know who you have to contact. This entry was posted in Blog and tagged brick repair wicker park masonry, contractors wicker park, painting contractors wrigleyville, tuckpointing contractors wrigleyville on January 15, 2015 by admin. No matter what material the exterior surface is made of – stone, brick, concrete or masonry; protecting it from the elements is the key to increasing its life and to get the most out of your investment. Since brick, concrete, stone and other masonry products are porous, water and harsh sun can be a menace to its longevity. Surfaces with these materials are at risk of breaking and cracking due to the weather conditions. It is therefore important to know some quick tips about protecting the masonry or concrete structures before they become irreparable. According to masonry contractors Lakeview and the expert tuckpointing contractors Hinsdale, identifying the degree of damage to the masonry can be difficult, especially when the walls are covered (partially or completely) under a layer of moss. If the cracks or chipping of the masonry is evident, tuckpointing is the first line of defense. Brick repair Oak Park and brick repair Hinsdale professionals suggest that homeowner should take the following precautions to ensure, their masonry work lasts longer than expected. If you would ask tuckpointing contractors Evanston or masonry contractors old town, they will tell you that your building structure can be at risk if you do not regularly care for the concrete and masonry work. And for this, you need to have a regular check on the work – regular maintenance allows you to save a lot of time and money. If you are unaware of precautionary steps required for regular checks, you can be in for a serious problem. But at Fortune Restoration we have come to understand that checking masonry at regular intervals isn’t as difficult a task as it may seem. For a homeowner’s assistance, we have here enlisted a few easy steps which you can undertake to ensure longevity of your masonry. Bricks and stones have a very long life. These building materials can withstand harsh weather conditions for decades together. However, the mortar used to hold the bricks and stones together is fragile and can begin to crack and deteriorate with time. It is important thus to maintain mortar along with caring of the building material. 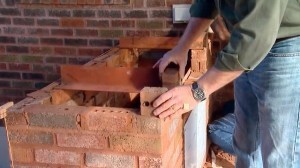 Regular checking of the masonry will help increase its life. Keep a constant check on the breaking or crumbling mortar, so that it can be tuckpointed at the earliest to avoid bigger damage. You can take a knife and scrap the masonry, if the surface crumbles, the masonry has weakened and requires immediate attention. You can also splash water against the masonry, if the surface becomes dark or absorbs water rather quickly, you can conclude that it needs waterproofing. While you can tuckpoint certain surfaces yourself, always hire a masonry contractor to waterproof your masonry. This entry was posted in Blog and tagged brick repair evanston, painting contractors rogers park, tuckpointing contractors hinsdale, tuckpointing contractors oak park on January 15, 2015 by admin. Irrespective of the job; brick repair experts Chicago and masonry contractors in Chicago focus on one primary goal – to provide the finest service so every customer is content. Tuckpointing contractors Chicago suggest, if your fireplace or chimney needs repair, then contact the tuckpointing pros in Chicago. The contractors say, brick and mortar in the masonry are meant to be durable and stand upright for decades. But brick and mortar are porous materials and tend to feel the effect of weather, fire and other elements. 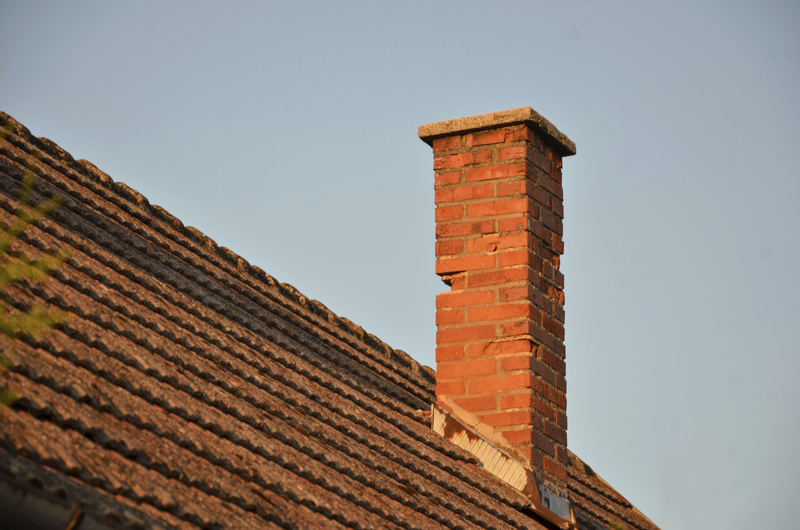 Over time, mortar in the chimney or fireplace begins to deteriorate – cracks and gaps start developing. This brings need for tuckpointing. Since tuckpointing is painstaking and exacting task, masonry contractors Lincoln Park and masonry contractors Oak Park can help repair and restore damages effectively. If with time and settlement of your home/office structure, your fireplace is not delivering on functionality? Or if the firebox has begun to crack, you must seek professional assistance to repair and restore it instantly. 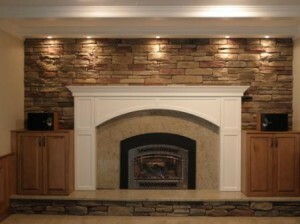 Masonry contractors can help you with the right approach and material to achieve the exact fireplace you want. Painting services in Chicago such as painting contractors Old Town or painting contractors Hinsdale, suggest that fireplace restoration is not complete without painting. 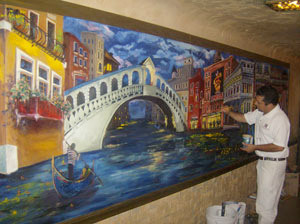 Painting can enhance the appearance of the fireplace and also help increase life of brick and mortar. Most chimney repairs can be accomplished with tuckpointing alone – the simple process of restoring the mortar and brick joints and masonry. Chimney can leak due to the effects of the elements. And the leaking chimney can be really tricky. Water is deeply determined to get into the chimney system and you mortar is highly responsible for allowing the water to seep in. Masonry contractors therefore work extensively to repair the mortar on the chimney to stop the leakage through cracking and damaged masonry. The idea is, to create a mixture, which matches the color and material of the previously used mortar, so that the visual appearance of the house is not compromised. Many beautiful and historic homes and commercial structure in the Chicagoland area have chimneys that have withstood the test of time – have been trough hot summers, harsh winters and hot fires, but have the scars to show. 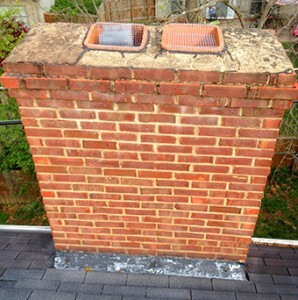 If your chimney liner is falling or if the chimney on top of your roof is damaged and needs replacement then you must find the most reliable masonry contractor for your project. Finding a good masonry contractor in Chicago can be a tricky task since there are so many of them. Trust your reference and have a good detailed discussion with shortlisted contractors before you finalize one. The damage that is often seen on both old and new brick buildings are due to water penetration into these porous units and pointing as well as detailing of brick causes fragment formation- leading to break away. If not taken proper care then it’ll make the walls look uncared and shabby. 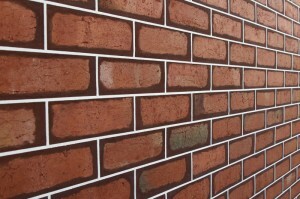 Therefore, consult professionals in brick repair Chicago before beginning with restoration. In older buildings, most decorative details around doors, windows and on façade- wear away and become blear.You can sustain look of these rugged walls by regular maintenance and repair minor damaged on your own, only if you’re familiar with masonry repair techniques. Suchrepairs usually involve cleaning deep-seated debris, moss, or graffiti from these substrates before repairing the damaged bricks. This is done so that the surface becomes dirt-less to stick fillers for long duration without any further damage. 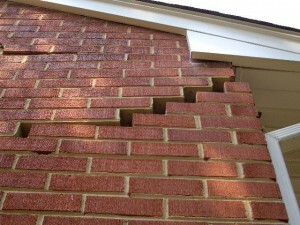 In case the damage is major, then you need to replace the entire broken section within masonry to attain perfect look. For such repairs, firstly you need to match new brick sizes with the older ones so that systematic arrangement of the brick masonry is sustained. It is recommended consulting masonry contractors Chicago for such complicated repairs to achieve perfection; otherwise whole slot might be ruined. Depending on depth of the damage, repairs may be built up in a succession of layers and shaped to in symmetry like the previous masonry work. The professional contractors are well trained exactly replicate tone and color of the original brick work without leaving any stains. 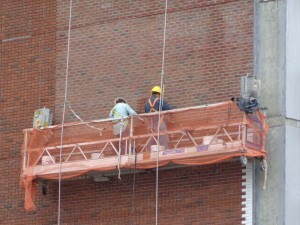 Due to this clients get best desired results in terms of texture and coarse look of the bricks. Tuckpointing in Chicago is done carefully depending on weather conditions, as it needs appropriate temperature to dry and remain intact for years to come. Old building repairs, from masonry to painting services Chicago need more attentive as well as precise handling because the old structure must not be ruined due to any mistake. So, it is better to consult only experts or take their valuable advice before beginning with any such complicated house work. On newly build properties, chances of early brick damage increase if building contractors have no used correct materials and techniques during construction. Some of the points that you need to keep in mind are somewhat similar to old building repairs such as regular maintenance and call for action as soon as you notice the damage. Bricks while constructing new buildings must be of same size for even look of the wall, otherwise mismatched brickwork might ruin entire look of the architecture. Keep in mind these useful points while indulging in brick repairs without any hassle. Although it is recommended to consult a professional team to renew your old building, but if you don’t want to spend too much money on hiring a professional then you may also do it yourself. Here are some expert tips by renowned building restoration professionals from Chicago to make your damaged building look absolutely new. Look for the cracks in between two bricks, masonry contractors Rogers Park mentions that firstly you need to mix masonry mortar in a bucket according to the requirement. 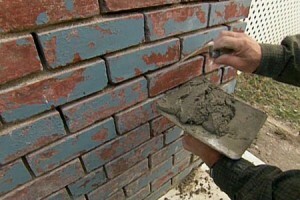 Use a brick trowel to insert mortar into any gaps or empty joints between the bricks. According to masonry contractors Lakeview, apply a brick contouring tool, or jointer, to the new joints. After that, select a tool that can be used to create a profile that matches the existing mortar profile. Masonry contractors Old Town says you must evenly apply the mixture to fill in the gaps and apply it fluently in one direction so that it doesn’t look too messy. However, certain masonry contractors in Hinsdale believe that it is the work of specialists and must only be done by an expert rather than some inexperienced person. Professionals in brick repair in Lincoln Park say that damaged, cracked or deteriorated brick must be taken out of the wall and replaced with new units. 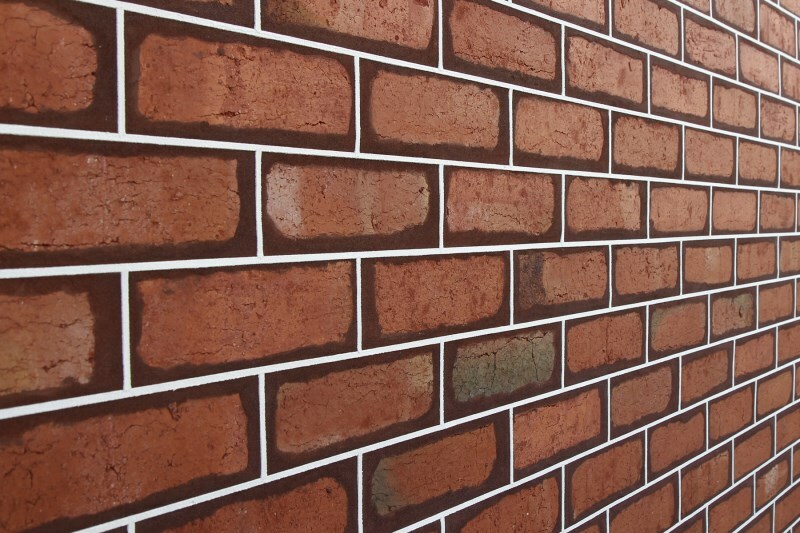 However, brick matching is a complicated task and only experts can figure out the difference in brick quality, say few specialists in brick repair from Park Ridge. There are many professionals for brick repair in Hinsdale and Oak Park to help your repair your deteriorated bricks. Although tuckpointing is somewhat similar to mortar repairing method, but tuckpointing contractors Oak Park mentions to spray newly repaired part with water for a perfect finish. Keeping the tuckpoint repair damp allows the mortar to cure properly. According to tuckpointing contractors Evanston try to keep the area misted with water for 3 days, if you want prolong results. You can even cover the area with a plastic sheet if you want to retain the moisture for long. These were some of the valuable advises by some of the masonry, brick repair and tuckpointing contractors from Hinsdale and other areas to renew your old brick building. After all the repair work you may maintain the rugged look of the bricked walls of your house or contact painting contractors Wicker Park to give them a colorful and vibrant look. This entry was posted in Blog on November 20, 2014 by admin.